These new pouches are injection molded . Made with adjustable tension screws for security. 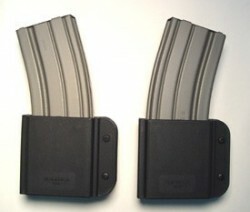 These pouches are ambidextrous, will work with bullets forward or bullets to the rear. The tension screws will be forward for Left handed users.